PLAY explores notions of creativity in relation to social conditioning and discipline. It delves into the tension between control and freedom and examines how boundaries, whether it is physical, psychological or personal, could be crossed through play. For the whole duration of the exhibition, the gallery became the artist’s playground, where she drew on the entire space with white chalk. The work invited viewers to inhabit the gallery space and see the exhibition differently. 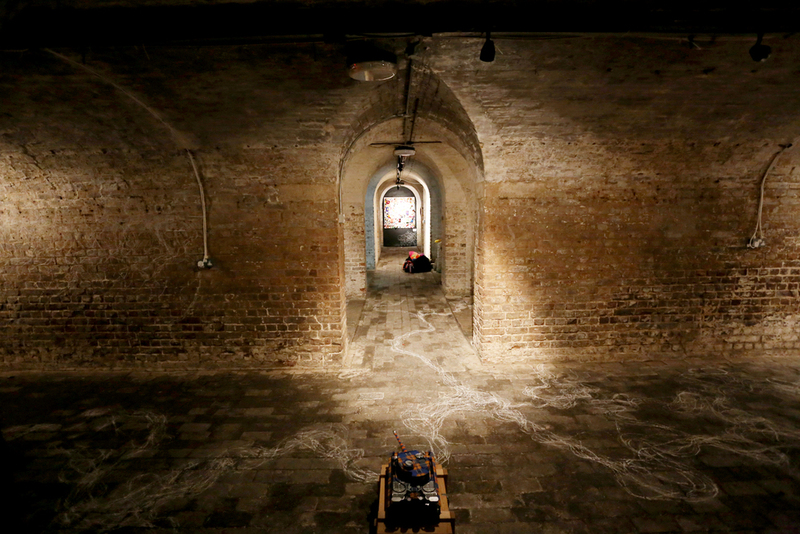 The chalk lines created could be viewed as boundaries or alternatively connections and energies between the exhibited artworks, the artist and viewers in the space. Photography by Sean Casserly, Justin Fung, Tom Heycock and Andre LL.